This kit is designed for teachers as it includes a mini-curriculum plus everything to make 2 Pintail 7-layer long boards. 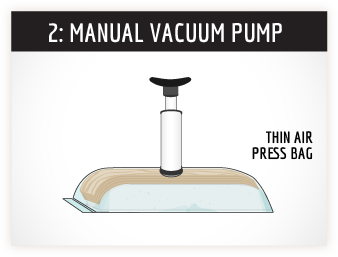 This kit will teach you the Roarockit method of laminating. The curriculum included guides you through pressing boards using the kit parts included. Use one board to practice with, the other as a demo for your class or school board. Read about using this process as part of your credit-worthy education program, from STEM to construction technology, to physics of vacuum, to art & design. This is Project Based Learning at it's best! Select pre-printed graphics sheets, or have students design and paint their own. Q: What if the TAP bag or valve leaks? Q: My school has budget issues, how can we afford this? A: Create an entrepreneurial environment. Building multiple boards can lead to creative ways of generating funds for a self-sustaining program. Hold an auction, find sponsors for boards, host an art show, all have been done with great success. See the Get Inspired area on this website (Link) to see what other teachers are doing. Q: What age is this recommended for? A: We recommend no younger that 10 years old. Q: How can I justify building boards in the classroom? A: Teachers around the world have used this program as an incentive or for fun. They also use building skateboards as a focus to help students achieve their high-school credits: math and science, woodworking, environmental studies, art and design, business and entrepreneurship, teamwork, leadership, mentorship and outreach. Q: Can I get more veneer, glue and other supplies? A: For schools and groups, we have an online or downloadable order form where your school or institution can order bulk supplies by issuing us a signed Purchase Order. 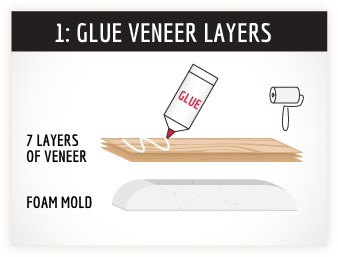 Q: What do I do if the veneer breaks or splits? Q: Can this kit be used to make a snowboard or wake skates? Q: Can the Thin Air Press make other things? A: Yes! Furniture parts, marquetry projects, archery bows, sculptural pieces, really any bent or flat laminations work well in the Thin Air Press. Included in the curriculum is a list of suggestions for setting up a classroom or other location with useful extras for teaching in a class environment. Q: What if my school has a no-skateboarding policy? 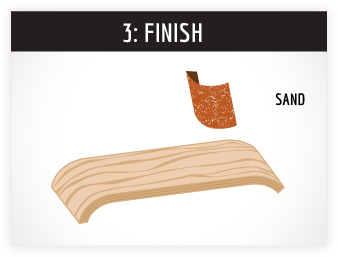 A: The Roarockit Kits are all about building just the laminated wood part of a skateboard. As students build their very own board and can take enormous pride in creating custom graphics the boards very often are hung on a wall rather than being ridden right away. This provides the school the option to still enforce their policy, as the boards will not be actively used. Roarockit does not provide the wheels and trucks. Q: Where do I get the wheels and trucks? A: Roarockit supplies grip tape, but not hardware. We suggest involving your community by contacting a local skateboard shop (students are a great source for this information) and ask them to even come to speak to the class. Topics can be about safety, tuning, products and riding skills. Use the guide holes on the bottom side to drill the truck holes through, using a 3/16” drill bit. Always wear a helmet when riding!